Today we have a guest post from Jeffrey O’Brien who blogs about food and entertainment. When he is not writing about the latest and greatest, he is hiking or fishing in Howard County, Iowa. Americans have a love affair with their pets. So much so that in 2011 they were willing to drop over $50 billion on pet needs. Almost two-thirds of the spending was on basics: food and medical bills. Services for pets made up almost $4 billion of the splurging. The other third went to toys, accessories, and beds. Why not let them sleep on your comfy mattress from Sleepys.com instead of spending money on their own. As both families and their pets get older, this particular service segment is expected to grow in 2012, increasing spending overall. The spending begs the question how much is enough? There are plenty of areas for saving, but some make more sense than others. Training is a big service cost that many pet owners will pay just to get some peace of mind. That puppy or kitten is so cute when it first comes home, but six months later when the $10,000 couch is destroyed, it’s another story. Because we tend to be a convenience society, we want quick solutions. So we pay people to train us to care for our pets. With a bit of studying and researching, many owners can learn what’s needed to self-train. That alone saves $25 to $50 an hour for training sessions at a minimum (private lessons reach $100 an hour). Toys are a cheap, addicting expense, especially if an owner takes his pet with him to the pet store, which many now allow. Keep in mind, dogs especially and cats will stick their nose in everything new; it doesn’t mean they want that toy! But we think they do, so we buy them. Savings are easy here; buy the cheapest toy possible. If it squeaks and rolls, good enough, doggy or kitty will be more than happy with something new. They don’t care if it came from the 99 cent bin either. Cleaning supplies in the form of cat litter and puppy pads are necessities which add up over time. The big box stores tend to have the best discount deals for bulk purchasing, allowing a pet owner to save up to 30 or 40 percent on retail cost. They also have good pricing on dog chew toys, pet beds, and bulk pet food. 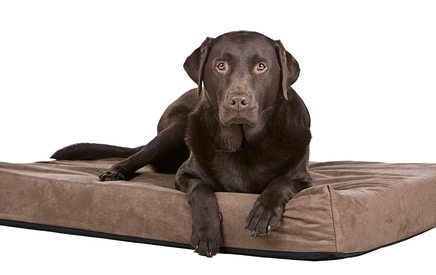 Alternatively, a pet owner can save further money on his dog or cat by letting them sleep on his own mattresses or floors rather than a distinct pet bed. Pet daycare has become a hit service for pet owners, but it costs a pretty penny. If you like to see your dog running around with other dogs, find a dog park in your area. Dog parks are popping up as cities are finding they are good resources for spending tax dollars on recreation. Dog parks are far cheaper to use, your dog is happy as can be, and most parks tend to be free to use. Yes, there’s a lot of cheap pet food out there, but that doesn’t mean it’s the best, healthy option for the ol’ pooch. For a long, healthy life in a pet, the best food mixes tend to be a better path. A bit more in food spending could save hundreds or thousands in vet bills later on in the pet’s life. Cheaper foods tend to include a significant amount of filler material that is eventually unhealthy. More expensive brands tend to have direct, organic food components which digest far better. When working with a vet, the right pet care is essential. With a serious condition, trying to go cheap could permanently disable a pet or worse when treating a condition. However, directly paying vet bills can be expensive. For example, an eye scratch in a dog with surgery and drugs can run upwards of $2,500. So consider pet insurance to lessen the financial hit. Still pay for good care, but with an insurance plan you can offset some of the bigger hits at least partially. In some cases, the insurance can cover as much as 40 or 50 percent of treatment cost.